Every December, Human Rights Day challenges us to confront the most pressing human rights crises. This year, many in government and civil society will be focused on the Syrian refugee crisis and other urgent human rights situations. The seemingly endless stream of human rights emergencies demands immediate action. At some point, however, we also have to attend to the longer-term project of building a culture of human rights. Otherwise we’ll find ourselves in an endless loop of pursuing perpetrators of abuses and trying to aid those harmed. How can we build a rights-respecting culture? International human rights law is part of that project. The legal mandate it creates provides a cornerstone. The set of norms established by human rights law, if fully realized, would secure rights for all individuals. Yet the human rights movement has struggled to figure out how to ensure that these international norms make a difference in the day-to-day lives of ordinary citizens on all continents. Law is necessary; its mandate can influence and shape behaviors and attitudes. But it isn’t sufficient, in part because law often operates at a distance from the lives of most people, including the most vulnerable and marginalized. But research on human rights education provides a reason for optimism. It shows that human rights education produces a range of positive outcomes for children, including an improved sense of self-worth, increased empathy, and a reduction in bullying and harmful behaviors in classrooms. And children who learn about human rights demonstrate a better understanding of the connections between rights and responsibilities. The literary world provides children a space to learn about and understand human rights. Yet only a small percentage of the population will study human rights law or attend primary or secondary schools that offer a human rights curriculum. 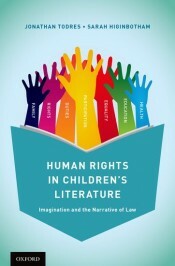 Until human rights education becomes universal, a source much closer to home offers a vibrant set of materials that explore human rights and can help build a rights-respecting environment: children’s literature. Many of the stories children read and have read to them explore and confront important themes about children’s rights and their responsibilities to respect the rights of others. And they do this in a safe, imaginative world that is accessible to children. Dr. Seuss’s Horton Hears a Who! allows children to explore participation rights, the right to life and survival, and the right to be free from discrimination. Horton the elephant is arguably the quintessential human rights defender, risking his own life to save the Whos, a tiny people living on a speck of dust. But ultimately it is only when the “smallest of the small” makes his voice heard that the Whos are saved from destruction. Munro Leaf’s The Story of Ferdinand lets children consider identity rights issues through the story of a bull who prefers to sit and smell the flowers rather than fight. And the world of Harry Potter invites children to consider important questions about children’s rights and just punishment. Not all children’s stories are rights-fulfilling. Many books suggest that children have no voice and few rights. But even these stories offer children the opportunity to consider the impact of the denial of these rights. Both positive and negative portrayals of rights in children’s books, as well as in oral story-telling traditions, offer the youngest members of the human family opportunities to consider their own rights, the rights of others, and their roles in their communities. They expose children to the full panoply of civil, political, economic, social and cultural rights. In short, the literary world provides children a space to learn about and understand human rights, instilling knowledge they can then apply in their own lives. In doing so, children’s stories can help foster a rights-respecting generation that might succeed in forging greater respect for human rights in the future. A word of caution is appropriate. Using children’s literature to teach rights runs the risk of interfering with children’s freedom to explore imaginative worlds. Yet we know children’s literature has long been used to convey lessons. Victorian-era stories taught children to be obedient—“seen and not heard.” In this regard, a story that explores human rights themes is different only in the lesson, not its methods. Many stories do not teach, but simply allow children the opportunity to explore rights issues on their terms. As important, our own research has found that many children readily identify rights themes without being prompted by adults. The world of children’s literature might seem removed from current human rights crises. Indeed, many children confront threats to their rights in their everyday existence. But the long-term goals of human rights cannot be deferred indefinitely. Addressing immediate needs is critical, but we must also commit to the larger project of building a human rights culture. The books children read and have read to them are an integral part of those small places, close to home, where human rights emerge. Image Credit: “Sustained Silent Reading in Laos 2013” by BigBrotherMouse CC BY-SA 3.0 via Wikimedia Commons. Jonathan Todres is Professor of Law at Georgia State University College of Law and the co-author of Human Rights in Children's Literature: Imagination and the Narrative of Law. His research focuses on children’s rights, child exploitation, and human trafficking.